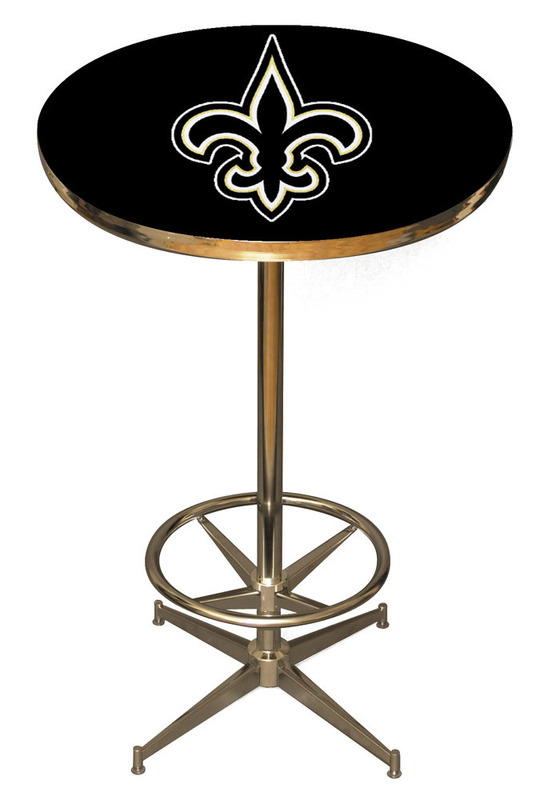 Your friends will gather around this New Orleans Saints Black Pub Table at your next Saints watch party. Make this Pub Table a permanent fixture in your man cave. Featuring a team logo on an extremely durable and impact resistant high pressure laminate to, this New Orleans Saints Saints Pub Table will look great in your game room.